Notice how you can quickly pick a preset reminder date or a custom date. By default, you’ll only receive a reminder if no one has replied to your email (but you can easily turn that option off). You can also add a note or have Groove create a Salesforce task for you if you prefer. 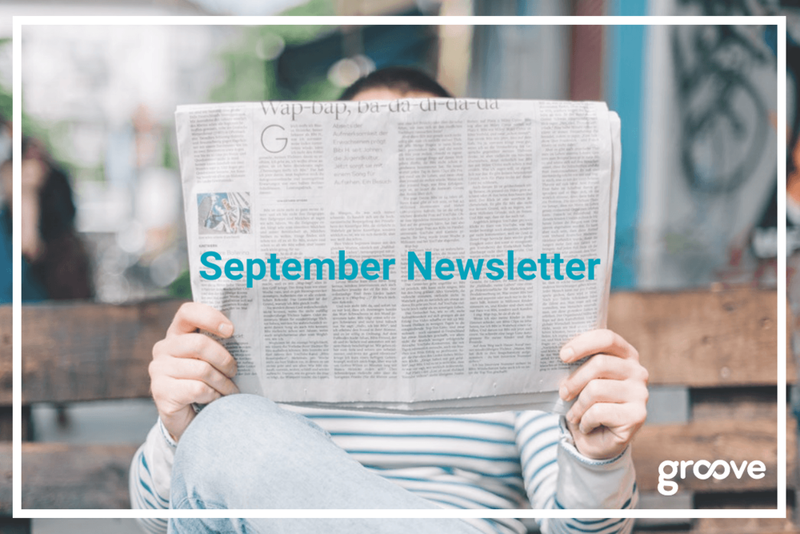 The use case behind reminders for inbound emails is slightly different but follows the same principle. The idea is that an inbound email frequently contains an action item for you, so you would set a reminder if you can’t reply right away. Another frequent use case is when a prospect tells you they are currently with a competitor, but their contract expires in six months. So what do you do? You set a reminder to check in five months from now. And how are reminders surfaced? In the most intuitive way. Groove will just send you an email that is part of the email thread where you set the reminder. It bubbles the message up to your inbox. So you instantly have the context you need — even months later. Groove meeting scheduler significantly simplifies the process of finding a meeting date that works for everyone involved. Your prospects can click on your meeting scheduler link and then pick a free time slot on your calendar. But what if they pick a time slot that's too far out in the future - too far out to keep the momentum of a deal? And momentum is so important to keeping a deal alive. That's why we have added a the ability to limit the time period during which someone can book a meeting. Find the field Limit my availability to X days in advance. In this example, you would enter 14 to limit your availability to a two-week maximum. You can set different availability rules for each meeting type. That way, you can keep up the momentum and close more deals. Let’s quickly review automated actions in Groove: Basically, you can set rules so that certain events trigger specific actions. For example, if an email bounces (event) it shall be marked as invalid email address in Salesforce (action) - automatically. You already have many types of events and actions to choose from, and we wanted to make sure you know about the latest event type we’ve added: On Salesforce Update. With this event, Groove can trigger certain actions if specific fields in Salesforce are updated. For example, you may want to remove leads from Groove if the lead status is changed to disqualified in Salesforce. Or you may want to add all contacts related to an opportunity to your onboarding Flow once the opportunity is won. There are a lot of possibilities here, and we’re excited to hear the creative ways our customers use this new event type! 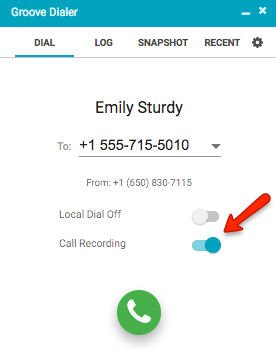 You can now record the calls you are making with Groove Dialer. That way, managers can provide feedback on a new rep’s calls at a time that’s convenient, and pause and play the recording during discussion. Or you can save especially good (or bad!) calls for future trainings. When the call is complete, you can find the recording in Groove’s call analytics page, or your Salesforce admin can create a custom field for the URL. Upon request, you can call internationally with Groove Dialer (as opposed to only calling to Canada and the U.S.). Groove admins can now login as other users. This is useful when admins want to help users with questions or audit the templates in use. It is also useful if a user leaves the company and templates and Flows must be taken care of. In that case, the admin could login as the user, move all people in pending Flows to a Flow of another user. Or they could transfer ownership of the templates to another user. If you’d like to learn more, please contact Groove Customer Success at success@grooveapp.com. We're holding an Open Lounge for perspective clients at Prezi's office during Dreamforce (about a block away from where Dreamforce is held). Reach out to ha@grooveapp.com to find out how you can register to stop by, hang out and meet other Groove customers.